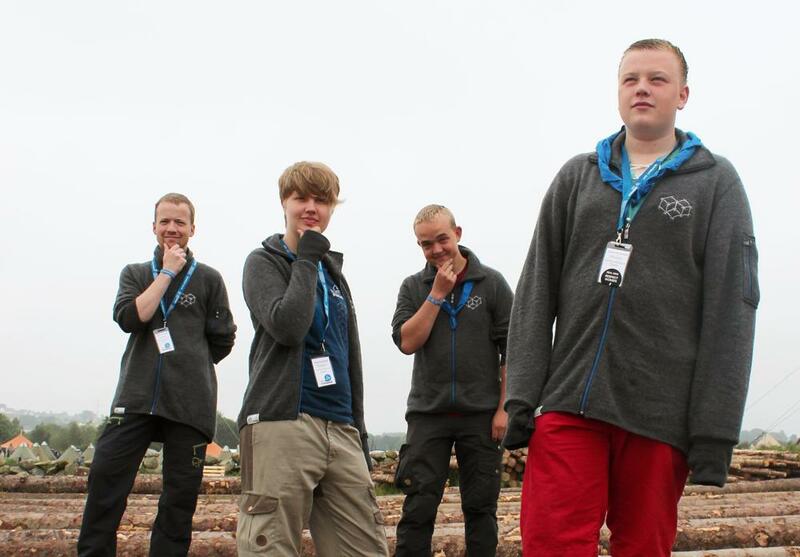 Stavanger 2013 was the Norwegian Guide and Scout Association’s national summer jamboree (camp). 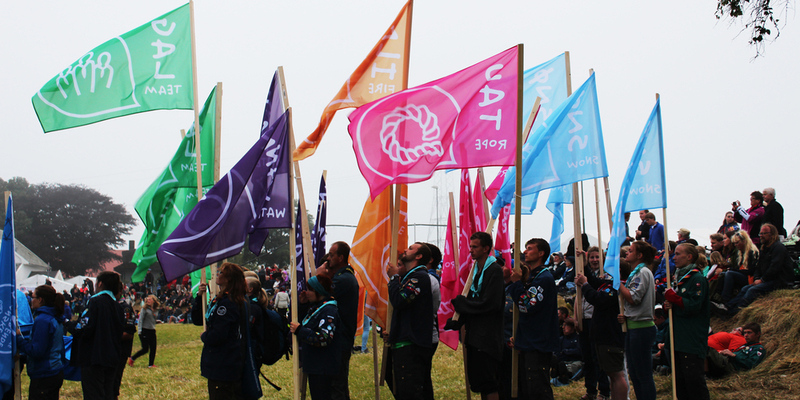 The event gathered 10.000 Norwegian and International scouts for one week at Hafrsfjord, Stavanger. 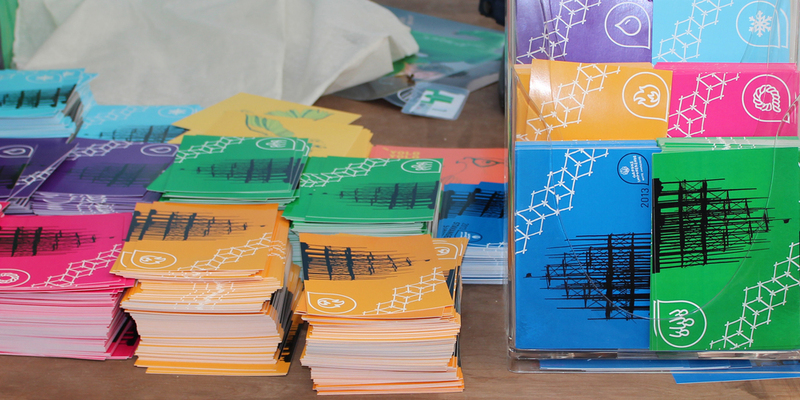 During 2013 I worked voluntary in the Stavanger 2013 Communications Department, as head of the design team. As a leader I followed up the team members and coordinated circa 50 design orders, completed by team members and me. The design work I did was mainly graphic design like logoes, patterns, printed matters, scout badges and product graphics. When I came into the project, the event had a logo, typography, a main color, and colors for the different underareas of the camp. The design manual was used as a tool to create coherent design. It was also useful to educate new members of the design team, and was used by other doing designerly work for the event. Therefore, I found it useful to include more topics than visual brand elements and guidelines. 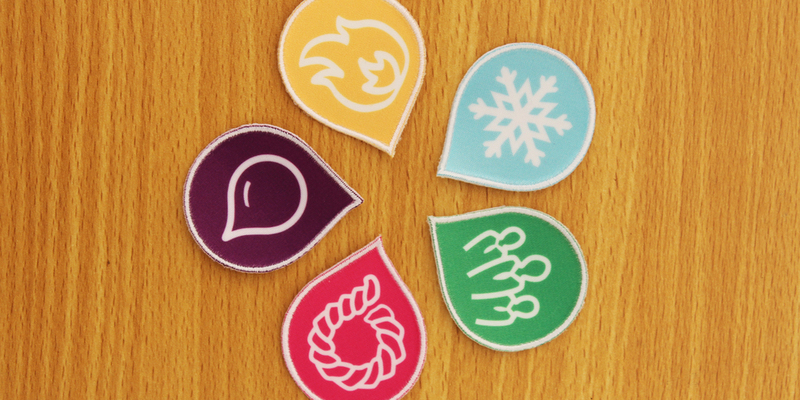 Some of the topics I included was the brand concept and slogan of Stavanger 2013, The Scout Movement as a brand, user groups, value words for the design and mood boards. Mathias Hovelsen Tokle and I designed the main brand decoration element for Stavanger 2013. The main idea was to build upon the iconic 30 meter high tower scouts were pioneering (building) of wooden logs and rope at the campsite. Building large constructions with wooden logs and rope is a common scout activity. The slogan of Stavanger 2013 was “Quite impressive”. And what is more impressing than a wooden construction that cannot be built? The under areas of the camp was named fire, team, snow, rope and water. When I was illustrating the names I focused on making the symbols as iconic as possible, so the name would be easy to grasp. I also made patterns for each undercamp, for greater variations and design possibilities. During the event all news was published fast on the webpage. Because of this, we made the camps printed matter closer to a magazine than a newspaper. 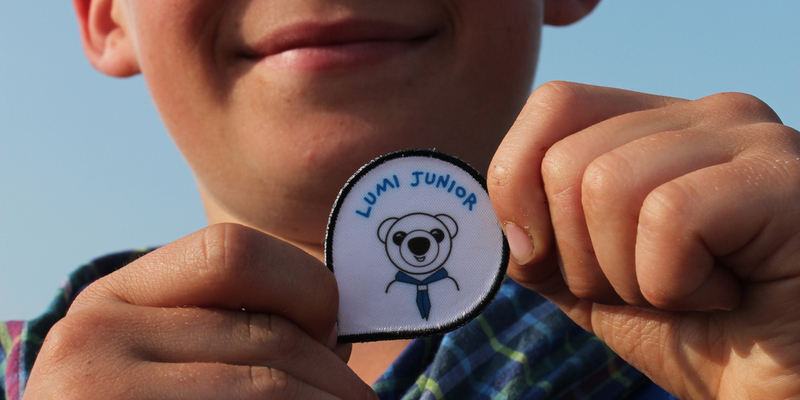 The target group of the magazine was both the children and their adult leaders. When Arild Feragen and I designed the layout, we wanted to create a mix of clean layout and playfulness. 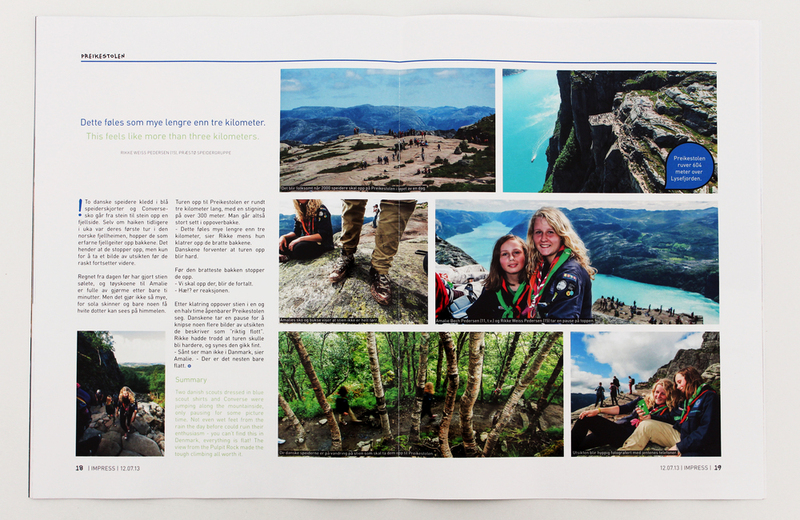 We used large images, ingresses and quotes to make the magazine more attractive and accessible for children or others who don’t read all the text.